Herpes simplex virus, (HSV), resides deep in the nerve roots and may reactivate at any time causing the same symptoms in the same location marked by a group of blisters on a red base. HSV, or cold sores are often triggered by cold and flu viruses. These blisters dry up rapidly and leave scabs that last anywhere from a few days to a few weeks. These painful blisters can be treated with antiviral herbs and ointments to to reduce pain and encourage healing. 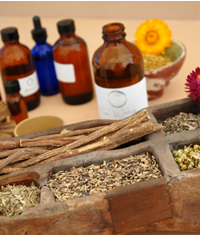 Natural treatments can be helpful in avoiding the risk of developing drug resistance that exists with single-chemical agents. Coconut oil with a few drops of bergamot essential oil makes a wonderful chapped lip and cold sore treatment in the winter. Keep a small jar handy and apply liberally. Echinacea is another herb that inhibits herpes viruses. Echinacea also produces a numbing sensation that may offer relief from cold-sore pain. Among the most studied antiviral herbs are various members of the mint family (Lamiaceae), most notably lemon balm (Melissa) followed by sage, heal all (Prunella vulgaris), mint, rosemary, and wild thyme. The tannins and other pytochemicals in lemon balm extracts deter certain viruses, notably those that cause mumps and herpes. (Duke,James, Ph.D.) Hyssop extracts have exhibited antiviral activities (especially against the Herpes simplex virus that causes cold sores). St. John's wort is a particularly suitable traditional treatment for herpes and other viral infections because it combines wound healing with antiviral properties. 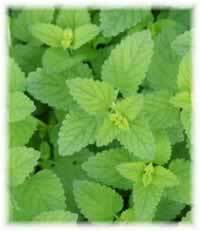 Formulas that include lemon balm and St. John's wort are often used in herbal practice and are very effective. St. John's can be used in several ways to fight herpes, internally in capsules, tea, or tinctures can be taken internally. Externally, compresses made from St. Johns tea and St Johns wort infused oil can be applied to active lesions. Tea tree oil is a potent antifungal and antiviral agent and has been shown to block HSV adsorption in vitro. The wide availability of tea tree and it's relatively low price make it one of the most cost effective treatments you can find. An ointment made with a 3 percent solution of bee propolis is used in topical application on cold sores. A simple bag of black or green tea is a tried and true home remedy for herpes. Steep it in hot water a few moments to allow the leaves to unfurl, let it cool and place on the lesion. You can also use pure aloe vera gel to quell the sting of herpes lesions. Melia (Melia azedarach), tea tree (Melaleuca alternifolia) oil, propolis, and St. John's wort (Hypericum perforatum) have been successfully used to treat HSV. A protein from melia leaves, meliacine, and a compound found in the fruit, 28-deacetylsendanin, interfere respectively with DNA synthesis of the virus and viral replication.